A merchant with a passion to keep America on its toes. Fox Mercantile was born out of a number of things but opportunity, passion, and service are the drivers behind it. The opportunity arose from a void in the market. When People's Department Store closed after being in business since 1957, everyone had to leave town to find quality footwear and work apparel. Shopkeeper Nick Potts decided it was time to fix that problem, and the idea of Fox Mercantile was born. Passion. We have a passion for quality leather footwear and durable goods. There's nothing better than a pair of broken-in boots. They become a friend. It's one of the first things you do in the morning, you spend most of your day with them, and it's one of the last things you let go of at the end of a long, hard day. Service - it's our number one priority. We only sell quality goods for both men and women, but quality only goes so far. If you don't provide the service to back up the quality, you're back at square one. 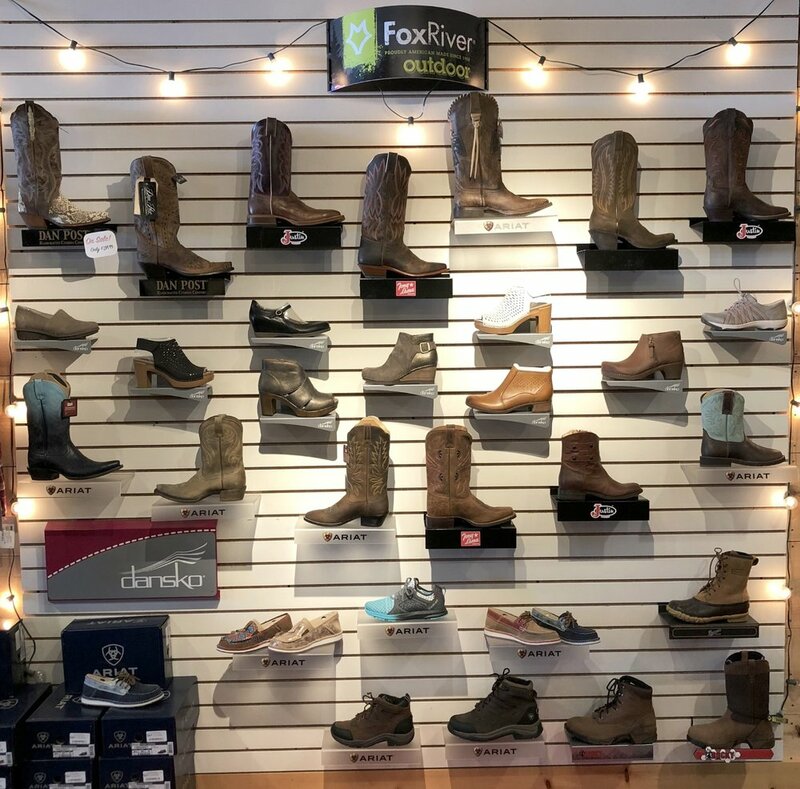 We guarantee you will be satisfied with your shopping experience when you shop at Fox Mercantile. 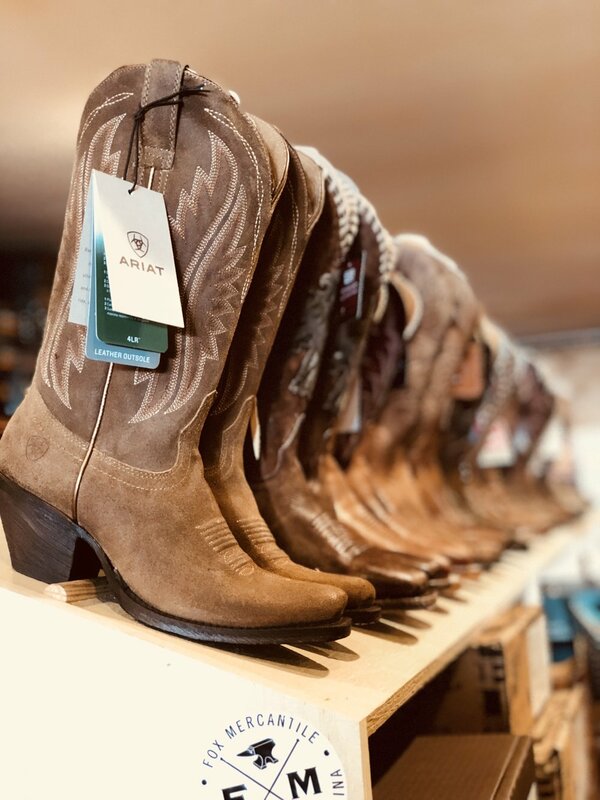 You won't find a more knowledgable sales staff when it comes to finding the right boot and the right fit. If we don't have it in the store, we will be sure to get it in a timely manner. We also work with companies like Red Wing, Wesco (West Coast Shoe Co.), and White's who will build a boot to your foot and no one else's. Come in and see us next time you need the goods to keep you on your toes. We are certain we can work with you to find exactly what you need to get the job done. Hardworking Footwear & Apparel for Hardworking Folks.